Harry Potter and the Sorcerer’s Stone (Harry Potter, #1) Rowling, J.K. The Tales of Beedle the Bard Rowling, J.K.
Harry Potter and the Goblet of Fire (Harry Potter, #4) Rowling, J.K.
Harry Potter and the Order of the Phoenix (Harry Potter, #5) Rowling, J.K.
Harry Potter and the Half-Blood Prince (Harry Potter, #6) Rowling, J.K.
Harry Potter and the Prisoner of Azkaban (Harry Potter, #3) Rowling, J.K.
Heath Ledger: Hollywood’s Dark Star Robb, Brian J. The Catcher in the Rye Salinger, J.D. The Fellowship of the Ring (The Lord of the Rings, #1) Tolkien, J.R.R. Most were first time reads, but a few (the Harry Potter series, for example) were my second time through. As a child, teen, and even early 20’s I was an avid reader, but like all of my other hobbies reading took a back seat in recent years. I guess you could say I was in a reading slump. When I did read, it was always the same books over and over (mostly Stephen King novels, but The Poisonwood Bible and Brave New World were also on standby at any time). My online book club lists personal challenges for its members, so I chose to commit to 50 books in one year. As you already know, faithful few readers of this blog, I met my goal and was able to exceed it by 10. Most of the books I read on recommendation from the book club, but I picked up a few based on reviews from Barnes and Noble or Amazon. The Time Traveler’s Wife, Outlander (the series, though I ran out of steam after book 4), The Thirteenth Tale, The Art of Racing in the Rain, The Book Thief, Water for Elephants, Moloka’i, Jessica Darling Series (starting with Sloppy Firsts), The Hunger Games/Catching Fire, Shutter Island, and of course, Harry Potter. I didn’t set a book goal for 2010. I think I might focus on finishing, then re-writing, my NaNo and I would love to conjure up another screenplay for Script Frenzy in April. I’m going to read as many books as I can now that I’m back in the habit, and I’ll continue to review them here as extras. Thanks to the book club, I already have a long list of to-reads for 2010. I just finished the epic novel Under the Dome by Stephen King. As a lifelong King fan, unfortuntely his work has been hit or miss for me in recent years. 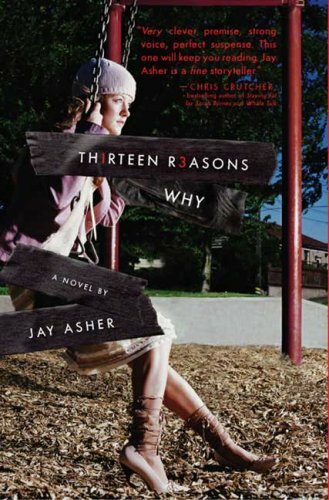 However, this beast of a novel made up for the crap that was Lisey’s Story. Although over 1,000 pages, this novel did not feel like a burden to finish as other long books often do. In fact, I felt as though the story still wrapped up too quickly in the end. In usual King fashion, most of the novel consisted of nail-biting build-up, only to fast-track all of the action during the last 150-200 pages or so. Gore was present, though at a minimum, and it was a little too political at times for my taste, but if you are a fan of suspense/horror than I recommend this novel wholeheartedly. It was a great read…a great ride. Dan Brown’s The Lost Symbol. November has been a slow reading month for me since I’m particiapting in NaNoWriMo, but I managed to squeeze this book in. 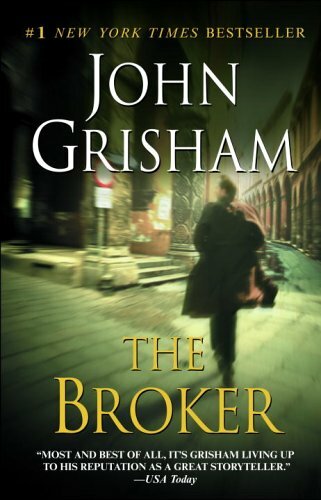 I enjoyed it, as I have all of Brown’s books, but it didn’t do it for me quite like The DaVinci Code or Angels and Demons. I’m not sure why, maybe I felt like the symbols and intrigue were a little less mysterious than in previous books, and the explanation almost came across as silly at times. Next up is Under the Dome, Stephen King’s newest that is a WHOPPER of a long read. I’ve already purchased it, but I’m putting it off until Dec 1st in case I get sucked in and neglect the NaNo. Needful Things by Stephen King was my online book club’s Halloween read. It was a re-read for me, but one that I had not read in 5 or 6 years. Upon finishing, I was immediately inspired to watch the movie and was disappointed that it isn’t available on Netflix. Boo, netflix! Beginning November 1, I will be participating in National Novel Writing Month. Like Script Frenzy (which I won in April remember??) participants have one month reach their writing goal. For NaNo, the goal is to write a 50K word novel. I have had my idea in my head since MAY or so, and I’ve been bouncing it around my brain to see where it leads. I’m thrilled but also a little scared to actually get it down on paper. I love my idea, but what if my writing doesn’t do it justice? So, November will probably be a month of little reading for me. 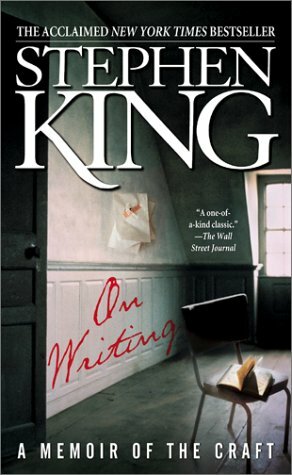 In preparation for NaNoWriMo, I read Stephen King’s On Writing. King has been one of my favorite authors since I was very young, but this is the first time I picked up his non-fiction work. I was still impressed. Anything I can learn from him makes me happy. Wish me NaNo luck, please! My goal (as listed in the 101 list) is to complete an 80K word novel. It would be AWESOME if I knock out 50K of those words during the month of November. I’m actually surprised I didn’t really like this book! I finished Dead Until Dark, the first of the Sookie Stackhouse books (and the books upon which the HBO series True Blood is based). The book wasn’t nearly as interesting or entertaining as I thought it was going to be. The writing was poor (and this is coming from someone who ignored the poor writing of the Twilight series) and the storyline didn’t grab me. My immediate reaction was to give up on the series, and I’m getting mixed advice from my trusty online book club. Some say the books get better but some say they never do and I would be better off Netflixing the show and calling it a day. Jury is still out. I may read the next one (everyone deserves a second chance, right?) but for now I’m going to take a break. I’m starting Marcus Zusak’s Getting the Girl today. I loved two of Zusak’s other books, so hopefully this will be a good one as well.